Internet has definitely changed our lives in a big way. Everyone is impacted by it and Young people are too. From 29.3.2012 till 30.3.2012 five other Youth-Ambassadors and me from european countries took part in the Sustainable Development Seminar of Vivendi. 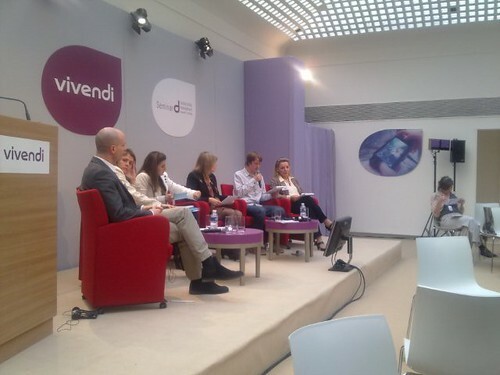 Vivendi and Insafe are working on a program called Youth-Ambassadors. 6 Young people from european countries including me were chosen during the Safer Internet forum which took place in Luxembourg in October 2011. You can find more information about this on: http://www.paneuyouth.eu/web/youth/ambassadors. For the first time Vivendi invited Young people to the Sustainable Development Seminar to give them opportunity to express their ideas and ask experts. During this event we had opportunity to talk to interesting people, meet new people get more experience and knowledge… And I think this is in life really important. I can’t really explain my feeling from the event,opportunities given to me, but everything would be in superlatives. I must say big Thank you to Vivendi and Insafefor the opportunity to take part in such as amazing event. Thank you for new experiences, for the opportunity to express my opinions and ideas, for meeting new people, for having fun there, for inspirating us, and much more… I also want to thank to all other Youth-Ambassadors, which took part in this event. I hope we will see us again soon. You can find pictures from this event on my flickr stream.